An old proverb says that when an elder dies, it is as if an entire library has burned to the ground. 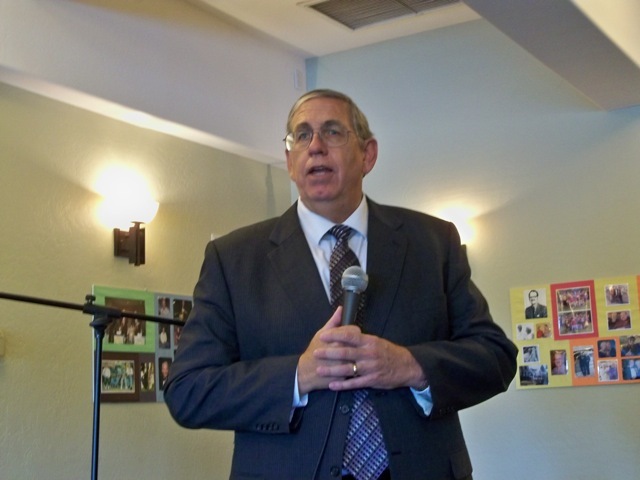 Donald Earl Hassler had many volumes that were lost to the world on August 20th, 2013. Don's love of music started when he took up the clarinet in fifth grade. As a young man he served 17 years in the National Guard and Army Reserves as a musician and bandmaster. He graduated from Northwestern University in 1950 with a degree in music theory. In the year 2000 he earned a master's degree in bassoon solo performance at ASU. 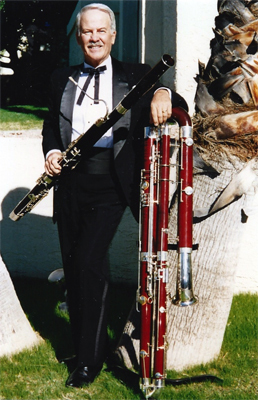 Don played bassoon for 20 years with The Tempe Symphonic Wind Ensemble, and Tempe Symphony. 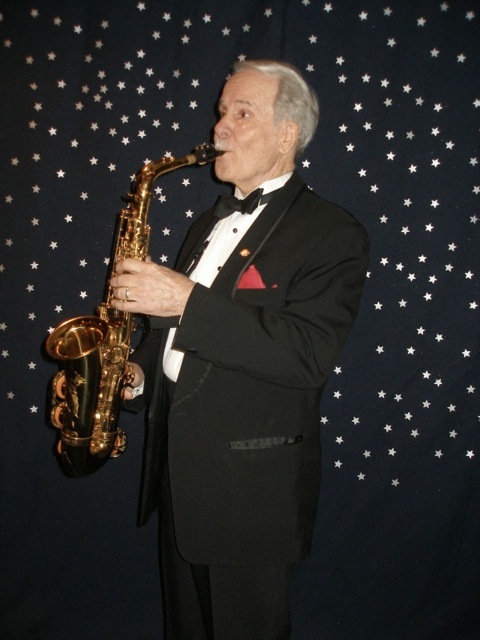 He played saxophone and clarinet mainly with Myron Sommerfeld's Music of the Stars Orchestra, and Burgie Crandall and his Let's Dance Band. 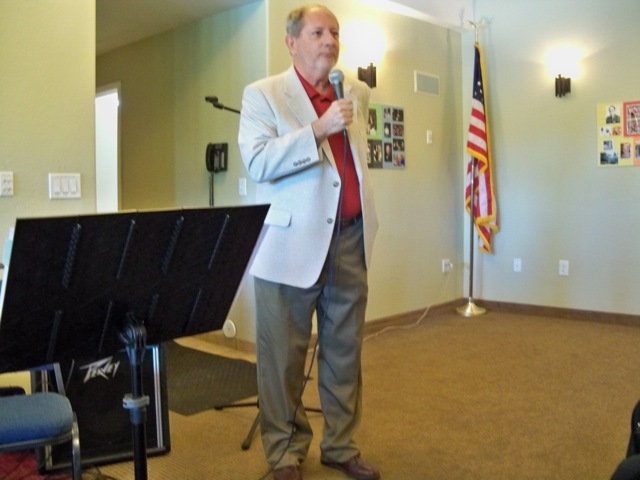 His business career was in marketing, including eight years at Capitol Records, and he owned the Audio Specialists and Hassler's Home Entertainment stores in the Valley through the 1970s and 1980s. Don was a devoted husband, and caring father, grandfather, and great-grandfather. 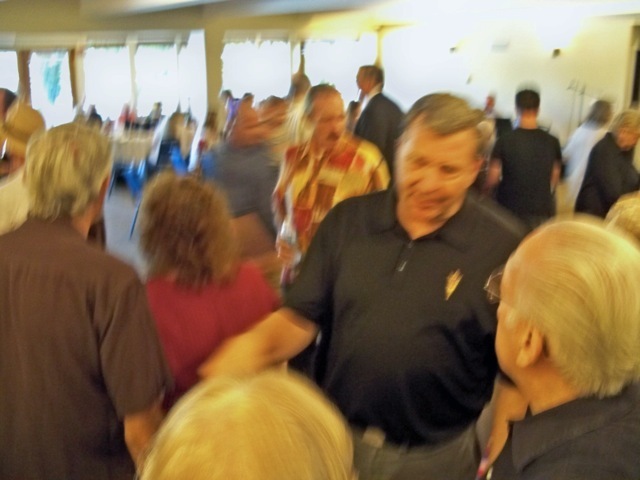 The word went around and Don's friends, from all different parts of his life, converged on The Lakes of Tempe clubhouse for good music, good food, and memorials. Our thanks to the Jump Jive n' Wailers: Chuck Bellman on tenor sax, Jeff Kelly playing Don's part on alto sax, and Ken Hales on trumpet. Ken played a solo of Amazing Grace, one of Don's requests, and then the trio played the song again, improvising with all three horns. The family invited people to come to the mic and share their memories of Don. 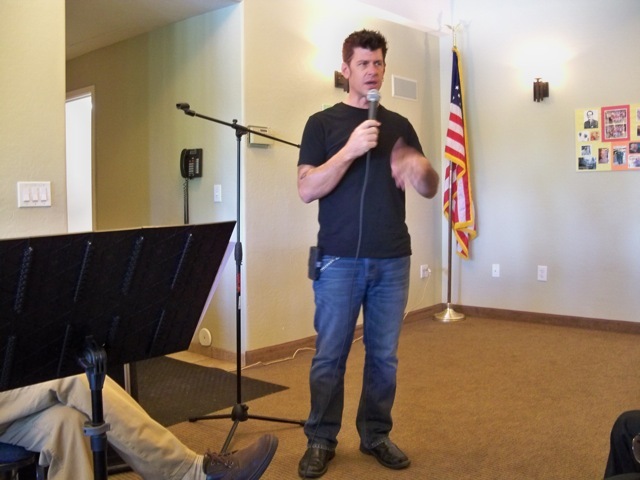 One of the speakers was Bart Salzman of the Sun Lakes Big Band. Next door neighbor Dave recalled Don's morning visits, coffee cup in hand, whenever Dave was working in his garage. They were neighbors for seventeen years. Dave's favorite Don Hassler quotes: "Hey Dave, what ya doin'?" "Now what are you doin'?" and the best of all, "How's the drummer?" [Dave's son] "Tell him 10,000 hours [of drumming to master]". And of course, as he walked away, he'd always wave. 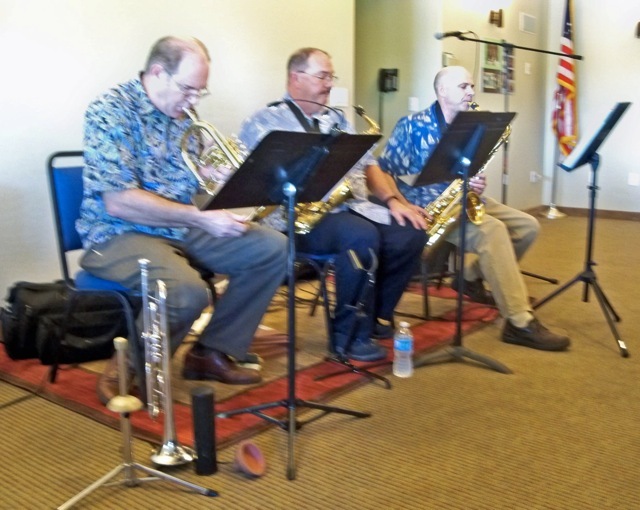 Mike Wilson, director of the Tempe Symphonic Wind Ensemble, recalled twenty-plus years of symphonies with Don Hassler, first playing clarinet, and later, bassoon. Photo poster boards showing aspects of Don's life are seen in the background. Rosita's Fine Mexican Food brought the refreshments and Don's favorite beer: Shiner Bach. Rosita's is a family owned business, and Don and Paula's favorite restaurant. 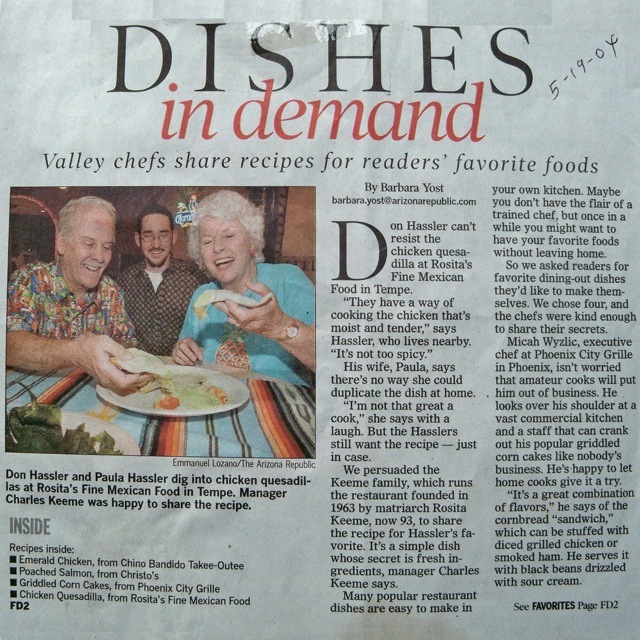 Paula, a frequent contributor to the Arizona Republic, got the Republic editor interested in a story featuring Rosita's. The original article was posted on one of the collage boards. The photo shows Don and Paula, with Charlie, who runs the Mesa location, and was also at the memorial. Brother-in-law Eric, who runs the Tempe location, was also present at the memorial. They also catered Don and Paula's fortieth anniversary in 2010. 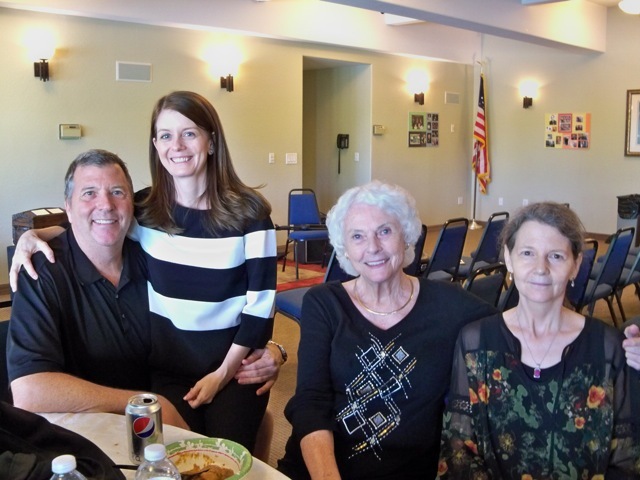 Paula (center), with son Bill, and Melissa (left), and daughter, Nori (right). Two of Don's great-grandchildren. 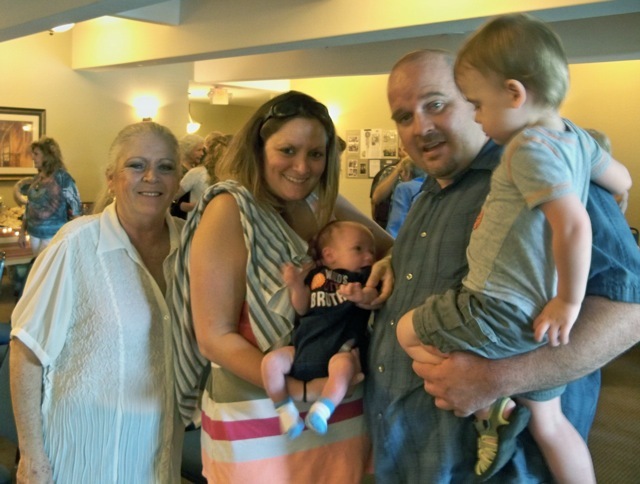 The newest one, Joshua (three weeks), and older brother Tommy, with parents Tim and Traci, and Tim's mother, Karen (left). 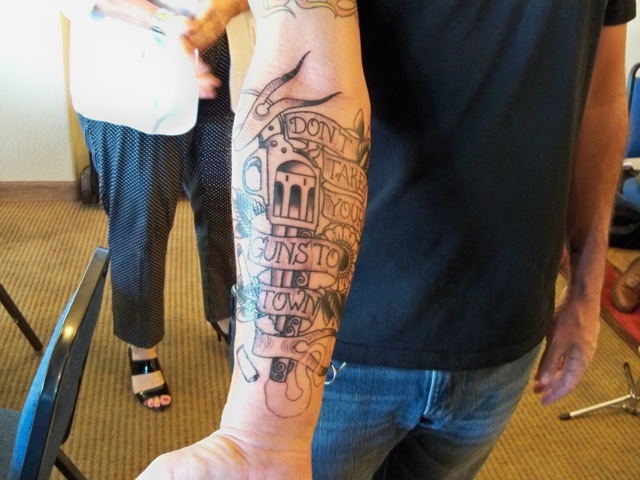 Next door neighbor Dave's brand new tattoo. Credit Harley Goodson @ No Regrets Tattoo. In the photo above, you can see people sampling the Rosita's spread on the left; and looking at the large photo board with articles and childhood photos on the right. Our sincere thanks to everyone for helping us make this a wonderful memorial for a great man. Contact the family - send us your memories of Don.